Until 22 December 1989, Bucharest’s stolid Central Committee building had been an impenetrable seat of communist power for decades. Then, on that day, hundreds of ordinary Romanians armed only with stones and courage surged past troops and stormed inside. There could be no clearer sign that the regime’s grip on its cold, hungry, deprived people had been broken. Dictator Nicolae Ceausescu and his wife Elena raced for a helicopter waiting on the roof, as bewildered as they were scared. His 25-year control of the country had been complete and paranoid. Children who presented flowers at official events had to spend days in quarantine first, portraits that only showed one of his ears were banned, and dissidents were jailed or worse. 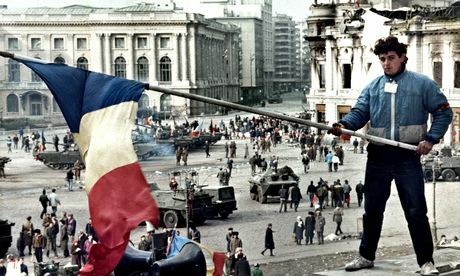 As communist governments collapsed across Europe, Ceausescu looked set to ride out the wave of longing and discontent, fuelled by clandestine reports on change elsewhere, until a standoff with a dissident priest in western Romania triggered his downfall.